If your corporate image is important to you, it should be carried through to every award you give too. EC Awards provides you with a stunning range of glass and crystal awards suitable for a wide variety of occasions. Glass awards and crystal trophies of all kinds are available in this collection. From paperweights to curved plaques made from jade glass, we have every conceivable design you may require. Bespoke awards are easy to order through our website. Every award you see here can be completed with your company logo and the relevant details you wish to add. 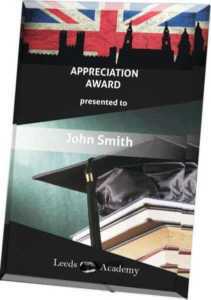 Include the recipient’s name, the details of the award or the date of the presentation. Glass trophies have a certain weight and feel to them that gives the right impression. They will all represent your business so it makes sense to order something affordable and yet of exceptional quality too. Our crystal awards will be treasured for a long time to come by everyone who receives them. If you feel past awards ceremonies have lacked the gravitas you desire, you can change things this year. Place your order with EC Awards safely and securely today. It is easy to do and convenient as well. 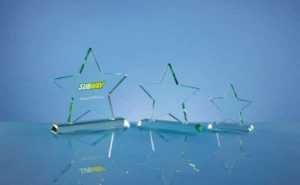 We have hundreds of options for awards, with a variety of sizes, shapes, colours and materials used. From a single employee award to a multiple order for dozens of awards for teams, individuals and winners in particular categories, we can handle it all. Trust in a company that has experience in delivering only the very best crystal awards and glass trophies for all kinds of reasons and events. We feel sure your first order with us will not be your last. Once you hold these awards in your hands you will realise just how impressive they are to give to someone else.